The Willamette Valley has become synonymous with world-class Pinot noir, with a perfect spot for the varietal seemingly around every corner. 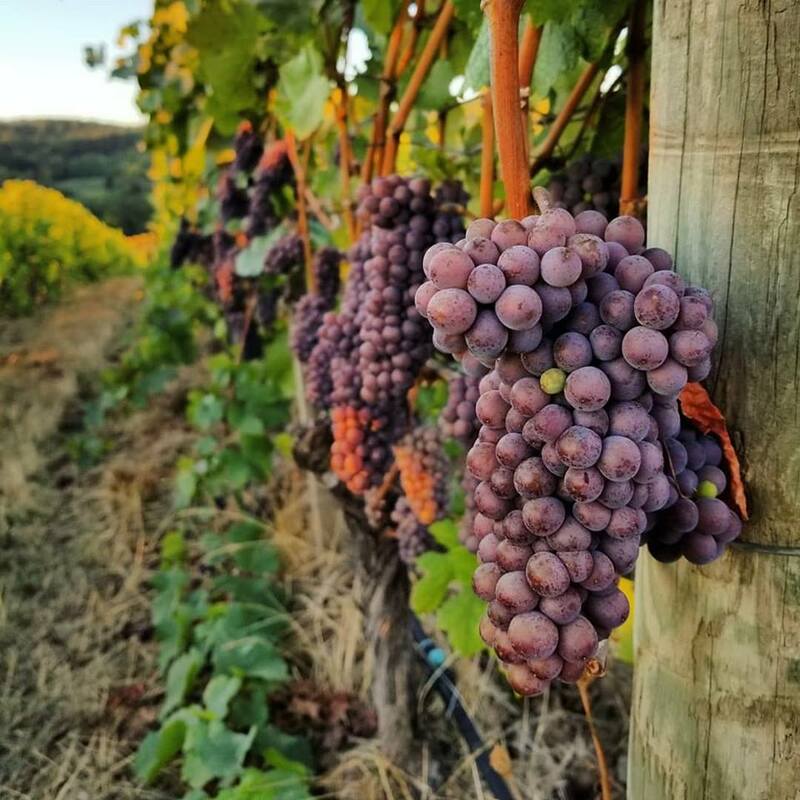 Ponzi Vineyards farms some of the best at our Avellana, Aurora and Madrona sites, which form the foundation of our signature Classico Pinot Noir. 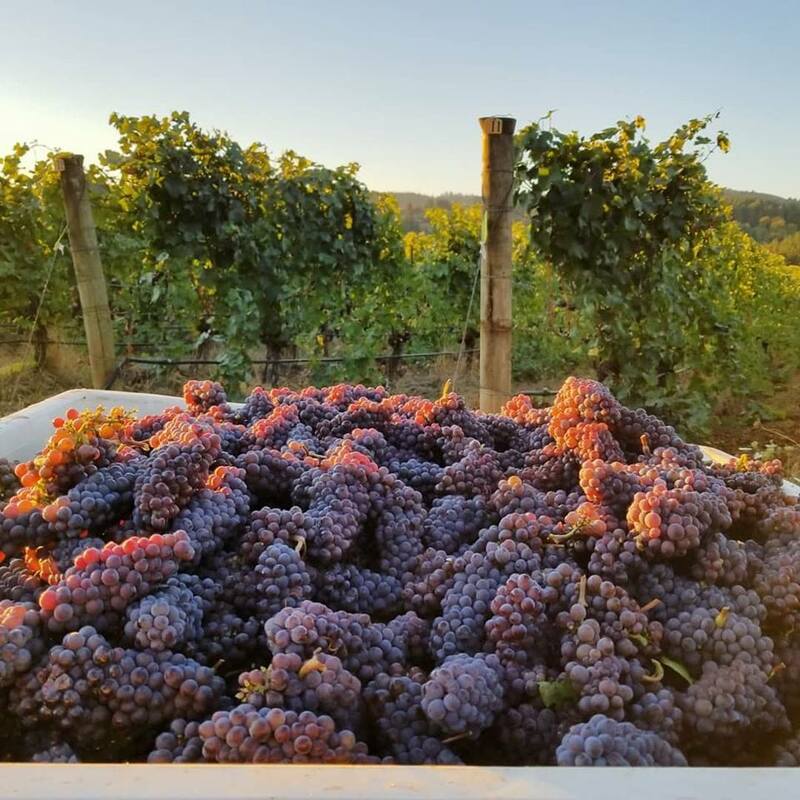 To enhance the blend and showcase what this region can produce, we work with area growers to source the finest fruit from exceptional vineyards. 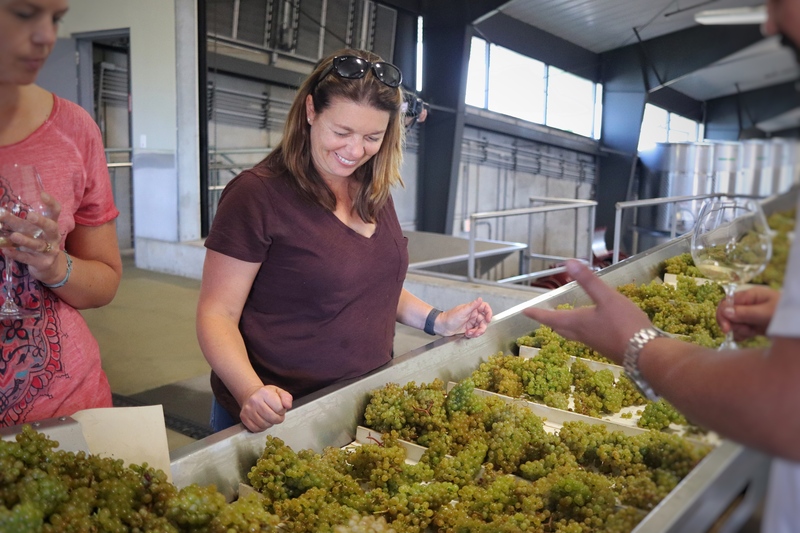 When sourcing from these growers and from our own vineyards, second-generation Winemaker Luisa Ponzi looks for fruit that contributes the desired aromatics, structure or fruit intensity to complement her vision for the vintage. 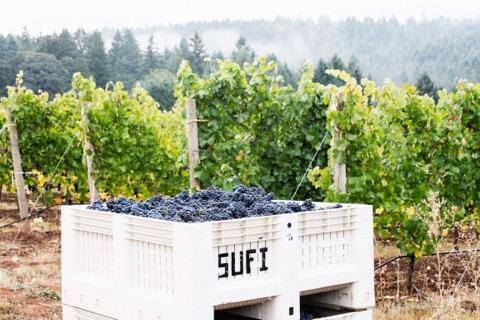 For the 2015 Classico blend, she selected Sufi Vineyard for its aromatics. Named after the ancient culture of Persian monks, who relinquished their material possessions in the pursuit of divinity, Sufi was planted in 2009, making it one of the younger vineyards in the Classico blend. Located on Bald Peak in the Willamette Valley’s Chehalem Mountains, this is a high-elevation site resting between 600-800 feet. On a clear day, it has gorgeous panoramic views of Portland, Mt. Hood, Mt. Adams and Mt. St. Helens. It is LIVE certified and Salmon Safe. The soil type at Sufi is Laurelwood, a fertile loess formed by windblown silt during the last Ice Age. 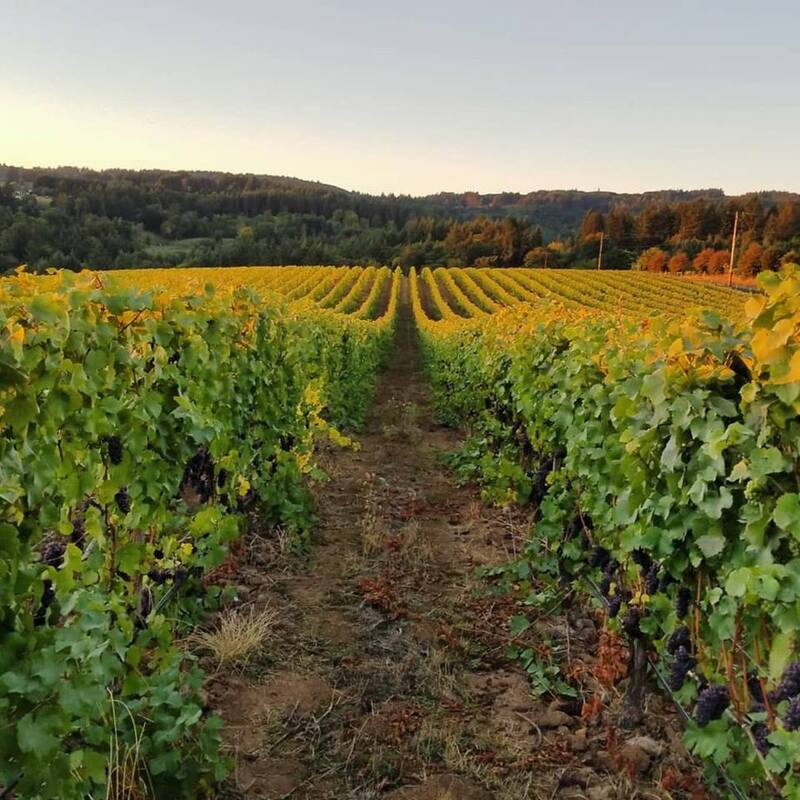 Laurelwood soil famously lends spicy and bright fruit flavors when vines are young, and earthy, blue fruit flavors when the vines get older and the roots tap into the basalt layer underneath. 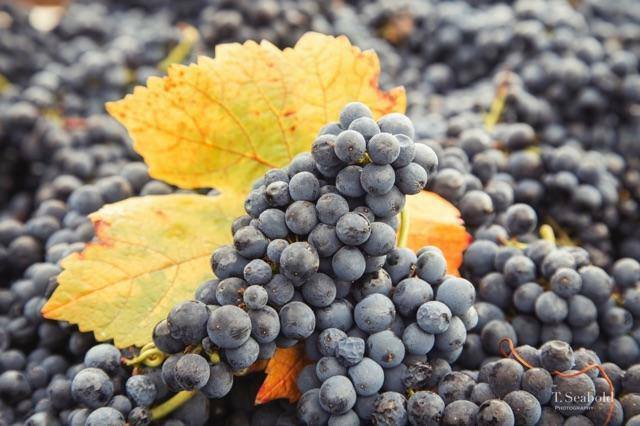 They grow the Pommard clone of Pinot noir; combined with the elevation, cooler days and nights, and the Laurelwood soil, the result is a fruit that is spicy and dark, with loads of pepper on the nose, which it lends to our Classico blend. 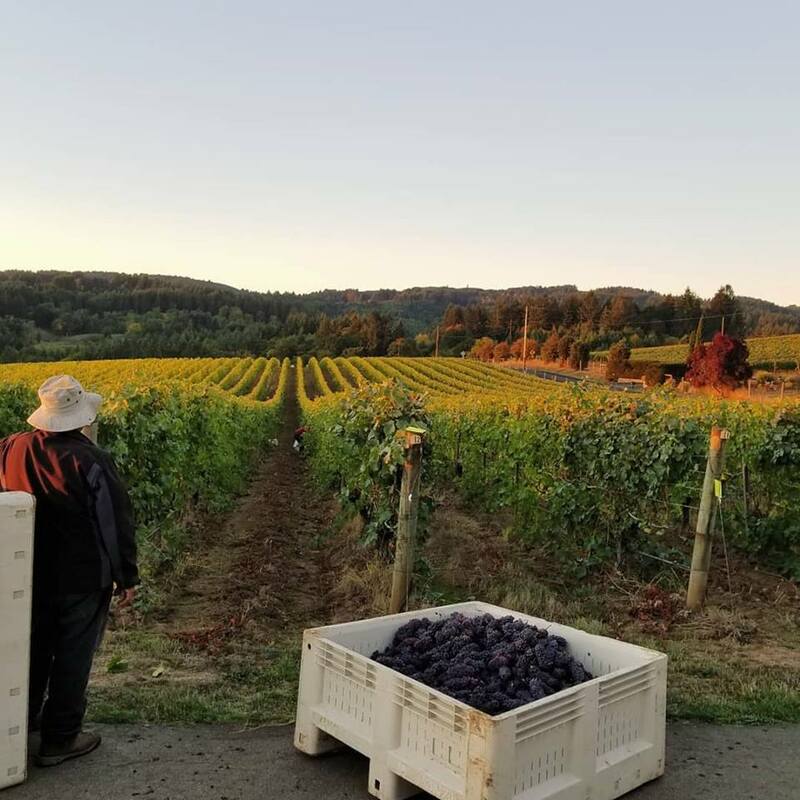 Explore Luisa Ponzi’s 2015 Classico Pinot Noir and the eleven exceptional Vineyards she selected as Willamette Valley’s truest expression of that memorable year. Get a bottle of Classico Pinot Noir for yourself. The dusty tannins, hints of roasted coffee and mouthwatering acidity are balanced by almond sweetness. Pairs beautifully with food. 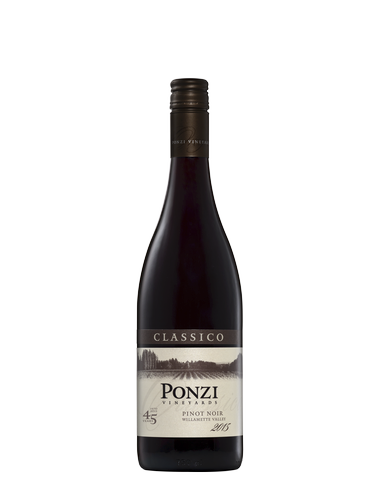 Our Classico Pinot Noir is blended from 100% Pinot noir sourced from the exceptional sites throughout the Willamette Valley with Ponzi’s most established vineyards at its base. The result is a classic New World expression of Oregon Pinot noir with nuances and flavors that are a hallmarks of the region’s varied soils and cool climate. Follow along as we explore some of the vineyards chosen by Winemaker Luisa Ponzi as the truest expressions of the vintage. Throughout the Month of November, a portion of tasting fees from the Ponzi Vineyards tasting room will be donated to the Oregon Parenting Education Collaborative, an organization that supports the delivery of high-quality parenting education programs and systems throughout the region. OPEC works towards a vision of all Oregon parents having access to high quality, proven parenting education programs that support them in their roles as their children’s first and most important teachers. They hope that all Oregon communities will be served by a network of strong parenting programs and a regional parenting educational hub, and that Oregon will be a national leader in professionalizing and normalizing parenting education. Thanks to generous funding, OPEC provides research-based resources including monthly newsletters and blog posts to help parents on their parenting journey. In addition, OPEC sends trained Parenting Educators into our communities to share training and build a network for support and resources to promote quality education. The Oregon Parenting Education Collaborative is a program of the Oregon Community Foundation. The mission of The Oregon Community Foundation is to improve lives for all Oregonians through the power of philanthropy. They work with individuals, families, businesses and organizations to create charitable funds—more than 2,800 of them—that support the community causes donors care about. These funds support the critical work that nonprofits are doing across Oregon. Through these funds, OCF awarded more than $118 million in grants and scholarships in 2017. We invite you to visit Ponzi Vineyards this month and join us in support of this valuable organization. A portion of every tasting fee will be donated to the Oregon Parenting Education Collaborative through the end of November. Learn more about the Oregon Parenting Education Collaborative. Get directions to our Tasting Room, just 40 minutes from Portland. Read about our Tasting Room. Harvest 2018: It's a Wrap! The end of harvest has arrived! 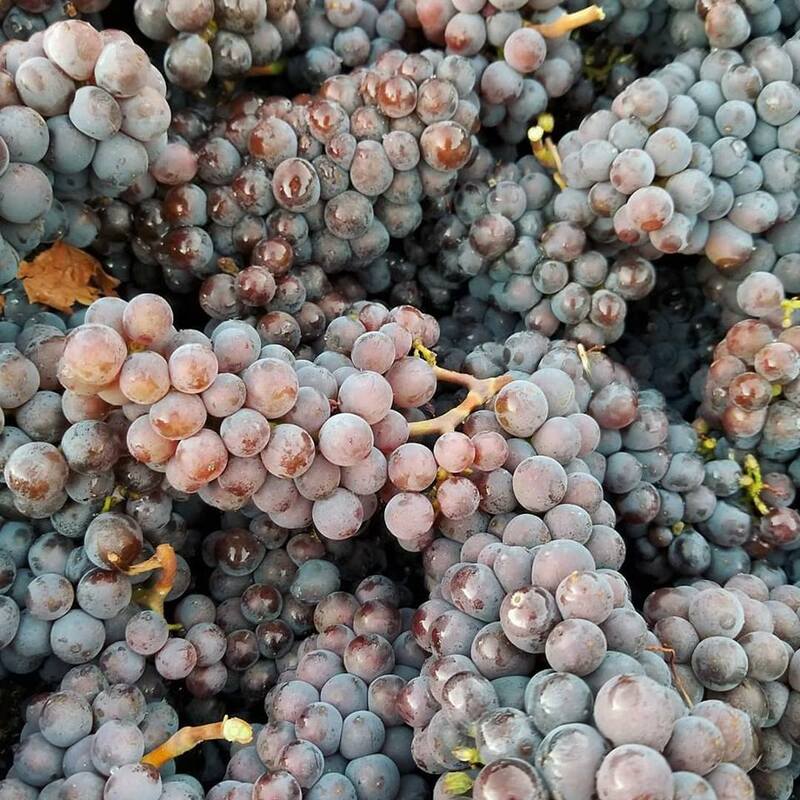 We brought in 700 tons of beautiful fruit and are excited about the wine we'll be creating from this vintage. None of it would be possible without our skilled vineyard crew (led by Vineyard Manager Miguel Ortiz), our exemplary Production staff (led by Winemaker Luisa Ponzi), and our amazing harvest interns, who join us from around the world to learn and grow with us. Their hard work, sense of humor and passion for this industry has made this season unforgettable. We thank you. In recognition of Breast Cancer Awareness month, throughout October a portion of tasting fees from the Ponzi Vineyards Tasting Room will be donated to Breast Friends, an organization that works to ensure that no woman faces cancer alone. Breast Friends is a unique resource for women, their family, friends, co-workers and the community. Their mission is to minimize the fear and isolation of a cancer diagnosis and improve the quality of life for those affected by it. For over a decade, their programs have empowered thousands by providing emotional support and hope. They instruct friends and family in specific ways to support their sick loved ones and they provide resources for the entire family. Breast Friends volunteers are cancer survivors themselves, offering individual assistance through one-on-one contact via phone or in person. They also provide customized support groups. We invite you to visit Ponzi Vineyards this month and join us in support of this valuable organization. A portion of every tasting fee will be donated to Breast Friends through the end of October. Learn more about Breast Friends. 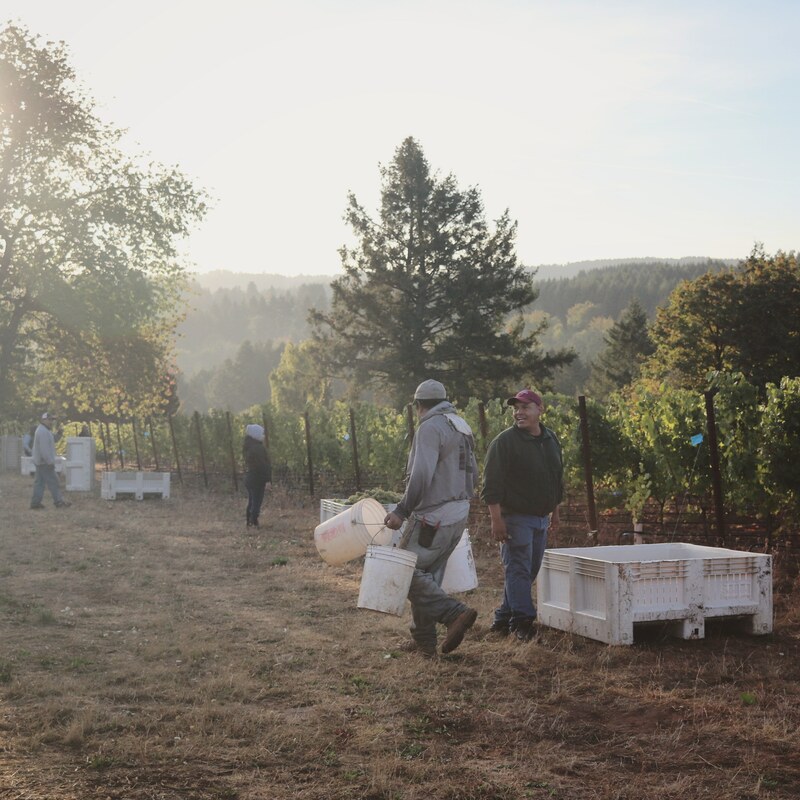 Last week we harvested Pinot gris at our stunning Aurora vineyard. 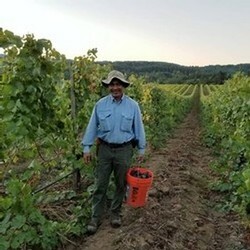 Vineyard Manager Miguel Ortiz (pictured to the right) says the sweeping views of Mt. Hood and the Chehalem Mountains make Aurora one of his favorite vineyards. 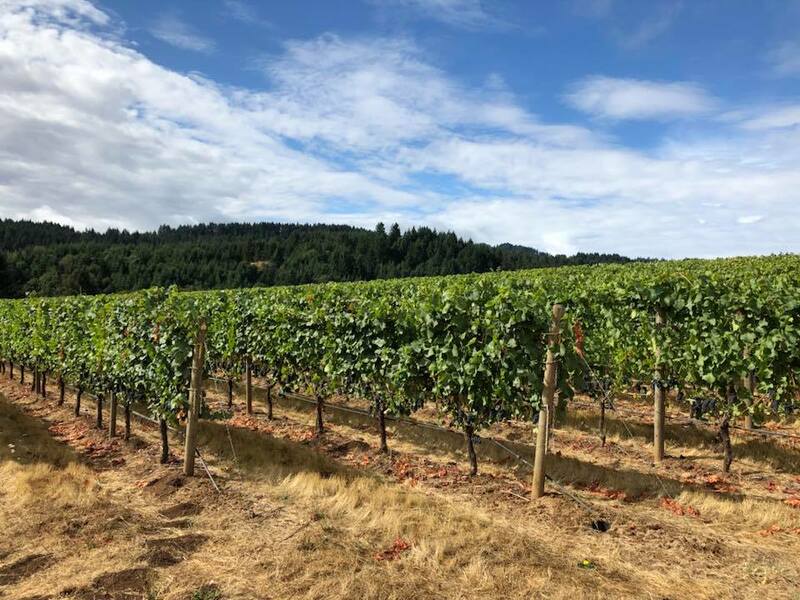 This 80-acre vineyard has it all: old vines, lots of sunlight and Laurelwood soil on a Southeast-facing slope in the Chehalem Mountains AVA in the Willamette Valley of Oregon. At 300-600 feet of elevation, this vineyard builds on experiments done at other Ponzi sites. It features numerous comparative plantings, rootstock studies, clones and spacing variations. One of the most notable plantings is an exact duplicate of the Ponzi Abetina vineyard, planted in 2005, called Abetina 2. Those plantings comprise a collection now preserved on rootstock on the same soil, elevation and aspect as the original block. Aurora is also a LIVE-certified site. Read more about Aurora here. 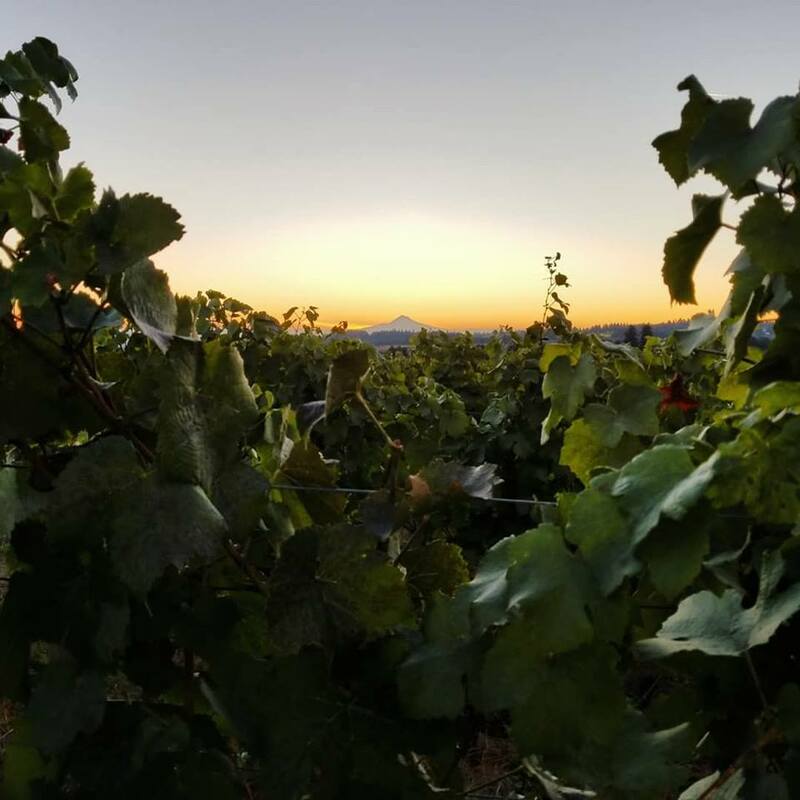 Harvest is in full swing, with our skilled vineyard crew out early in the mornings to bring in this year's beautiful fruit. This shot is from the Paloma vineyard, which is also home to Winemaker Luisa Ponzi and her husband, Winemaker Eric Hamacher of Hamacher Wines. This 15-acre, high-elevation site is named for the numerous doves that live on the property. Planted in Luisa's Clonal Massale(TM) method, the wine from Paloma tends toward great complexity, with fuller structure and brilliant acidity. The 2018 vintage is coming off the vines and making its way into the winery. 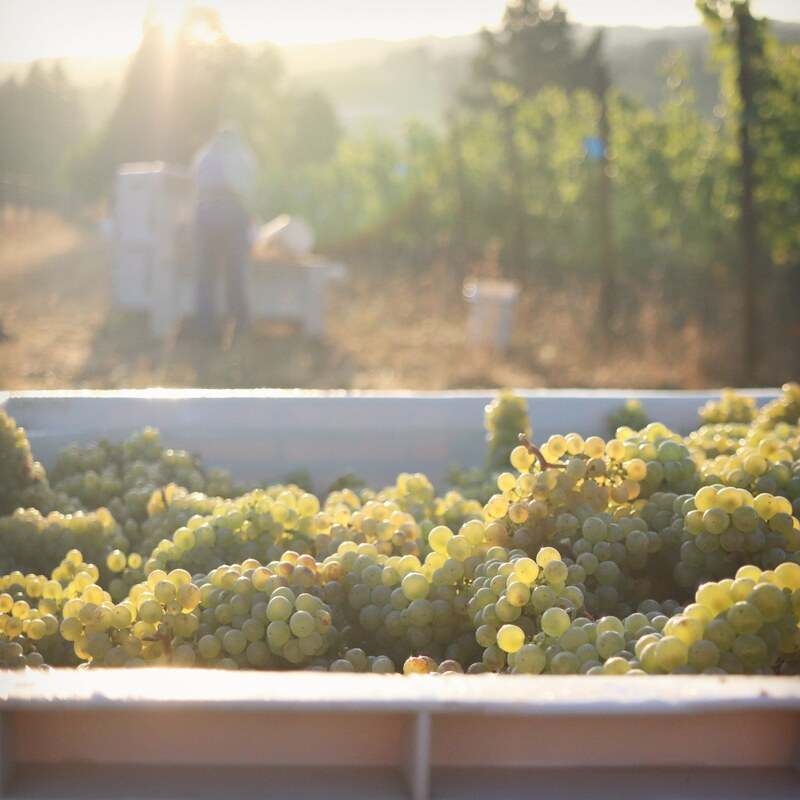 The first fruit in the door is beautiful Chardonnay from Ponzi grower Gemini Vineyards in the Chehalem Mountains. Winemaker Luisa Ponzi and her team processed the fruit this morning, pressing the whole clusters, before sending it to barrel to ferment. 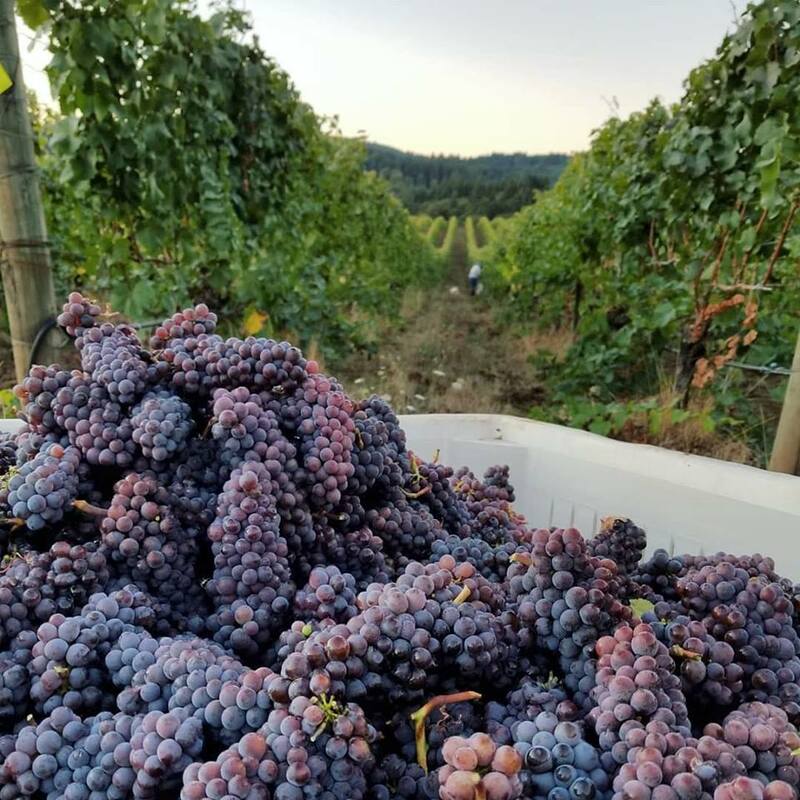 Follow along over social media and the blog as the 2018 harvest continues. 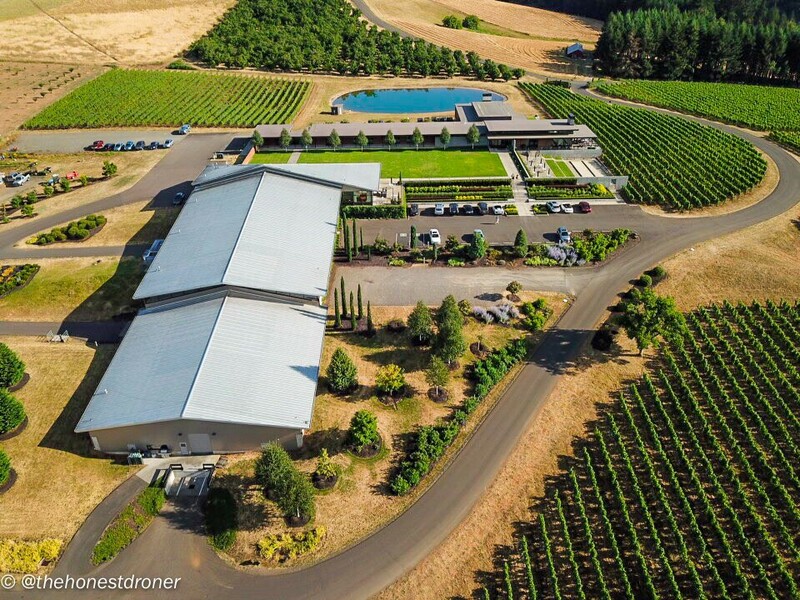 A big thank you to Thomas Greer at The Honest Droner for these stunning images of our winery and tasting room. We are located at 19500 SW Mountain Home Road, just 40 minutes from Portland. The grapes are ripening and it's the perfect time to visit us! Open daily 11-5:30 pm. The Willamette Valley is best known for its exquisite Pinot noir. It is so well-suited to the varietal that it can be found on virtually every hillside. Yet the conditions that make the region perfect for Pinot noir also make it perfect for other varietals, many of which are quite rare. Take a road trip this weekend and visit three wineries that are producing the best wines you’ve never heard of. This founding Oregon winery is renowned for benchmark-setting Pinot noir and Chardonnay, but it has a few lesser-known grapes up its sleeves. On a trip to the Vietti winery in Piedmont, Italy, the Ponzi Family discovered Arneis and Dolcetto. Arneis had once been nearly extinct, grown at only two vineyards in all of Italy. 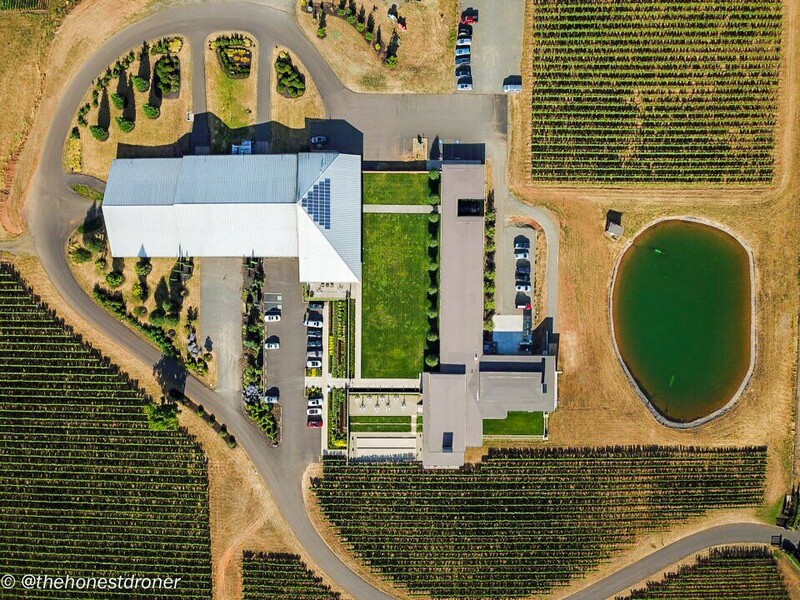 The Ponzi Family brought both varietals back to the Willamette Valley and planted them in the early 1990s and remain one of the few vineyards producing them. Dolcetto is a dry, big and bold red while Arneis is a fragrant white with a touch of honeyed sweetness. They are both available by the glass at their Sherwood tasting room and are well worth the visit. One of the other few wineries producing Arneis is Cana’s Feast, though theirs is a different take on the varietal. 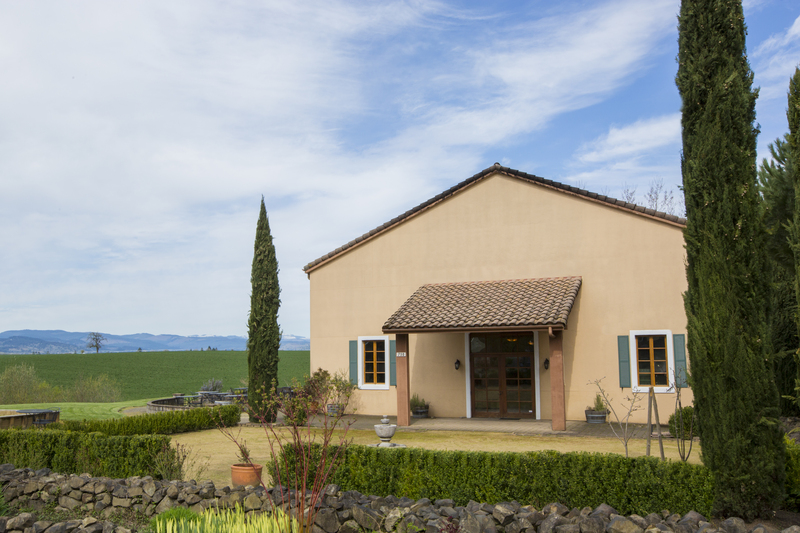 This small, Tuscan-inspired winery produces a number of unusual varietals in small lots, such as a plush Counoise and a fruity Cinsaut. Cinsaut (also spelled Cinsault) production is declining globally, making the wine harder to find every year. It is often used for blending, but makes a pretty, fruit-forward wine on its own. Counoise is a spicy, deep-red wine, rare in its native France and grown in only a handful of places in Washington, California and Oregon. The least-rare varietal on this list, Melon de Bourgogne (or just Melon) is still high on the “varietals you’ve never heard of” list. It is the most-produced wine in the Loire Valley of France, where it is known as Muscadet. In the US, federal prohibits calling wine made from Melon grapes by anything other than its grape varietal. When John Grochau returned from a stint racing bicycles in France, he brought his love for this grape with him and began producing it. This wine is bone-dry, with minerality and citrus notes that pair beautifully with food. 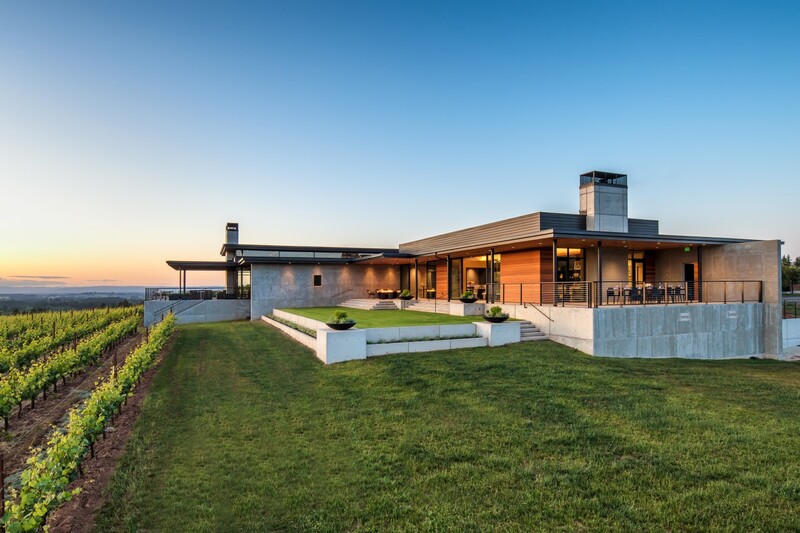 THROUGHOUT SEPTEMBER 2018, A PORTION OF EVERY TASTING FEE AT PONZI VINEYARDS WILL BE DONATED TO IRCO. We are honored to feature the Immigrant & Refugee Community Organization (IRCO) as our charity of the month. Established in 1976, IRCO was founded by refugees to help refugees make their home in Oregon. Their programs help new Oregonians learn English, find jobs, navigate new cultures and build community. Today IRCO continues to be the sole service provider of employment services and job training for all newly arrived refugees.